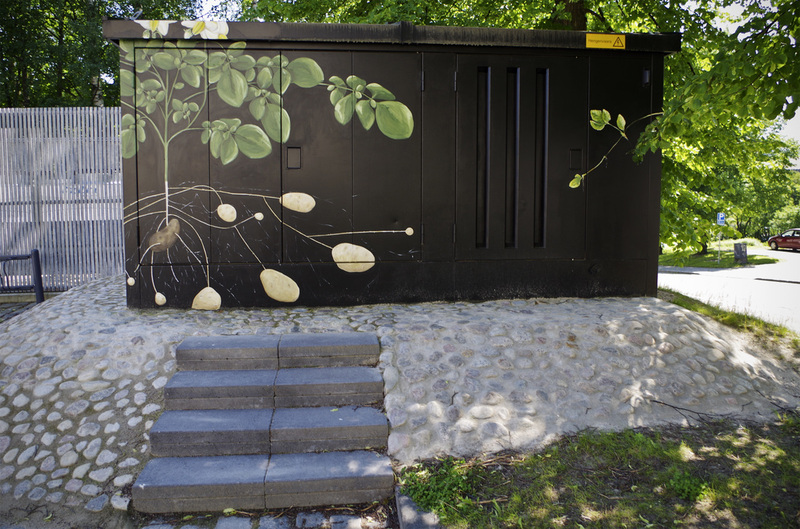 An initiative by Jonna Jantunen, Jukka Silokunnas and Kirsi Pitkänen as part of an Arts Promotion Centre Finland / Central Finland Regional Art Council project, commissioned by the City of Jyväskylä and Jyväskylä Energia. In Finnish, there are two sayings "Punainen tupa ja perunamaa" (to have a "red cabin and a potato field" is all you need) and "Oma maa mansikka" ("Strawberries on your own land"). 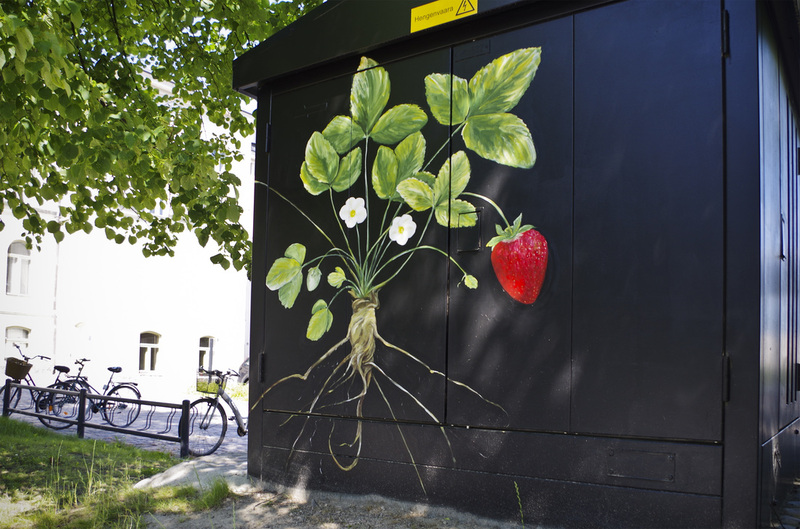 These two phrases represent cultural values alluding to how to find happiness and live well. 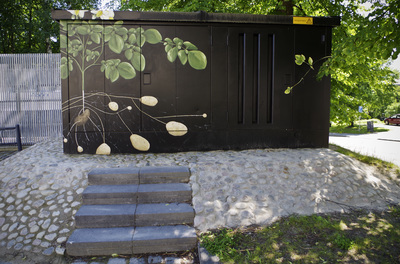 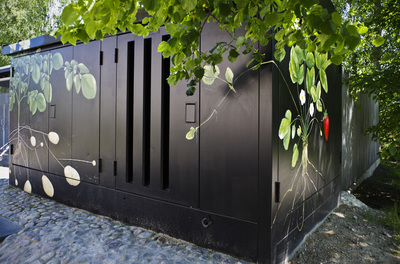 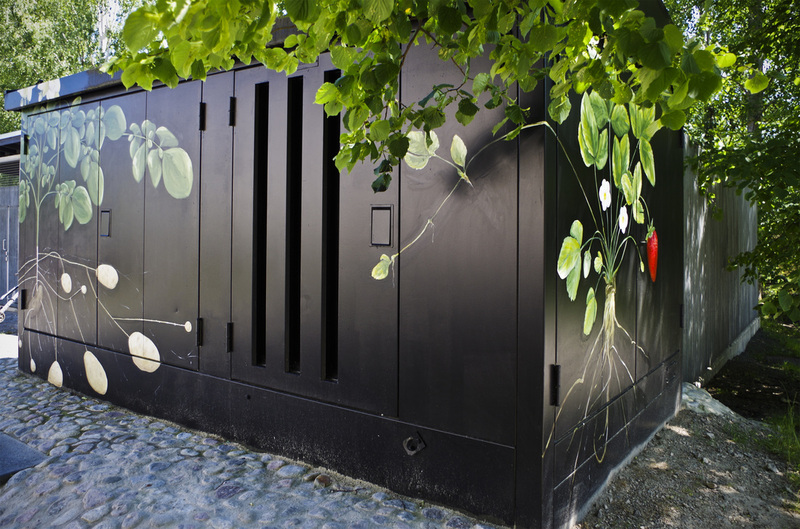 This electrical transformer cubicle is situated on the property of the Jyväskylä City Hall that was once a potato field, and where now the mayor with government officials make decisions for the future.